The national news release is shown below, and can be viewed online here. Two states and 37 communities have been named 2013 Pacesetters by the Campaign for Grade-Level Reading, an honor that recognizes their efforts to mobilize civic, business and community leaders to work with schools, libraries and other organizations toward the goal of improving early reading. 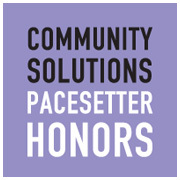 The Pacesetters announcement marks the first of three announcements this year to recognize exemplary efforts and accomplishments of the 140 communities participating in the GLR Campaign, a nationwide movement to improve high school graduation rates by increasing the number of children from low-income families who hit the critical milestone of reading proficiently by the end of third grade. "These Pacesetter communities saw the potential and seized the opportunities presented by Summer Learning Day and Attendance Awareness Month," said Ralph Smith, managing director of the GLR Campaign and a senior vice president at the Annie E. Casey Foundation. “Moreover, they took the time to share what they did and what they learned with other communities in the Grade-Level Reading Network." Chronic absence and the summer slide are major challenges that keep children, especially those from low-income families, from mastering reading by the end of third grade. One in 10 kindergarten and first-grade students misses nearly a month of school each year, and those absences correlate with weaker third-grade reading skills. Likewise, students from low-income families can lose two to three months of reading skills each summer without some sort of engaging activity. The Pacesetters also shared their work and challenges on the GLR Campaign website’s Tell Our Story page. The GLR Campaign named an initial set of Pacesetters in July 2012, recognizing leaders in school readiness, attendance or summer learning, as well as leadership in the nationwide effort. Later this year, the Campaign will recognize communities that are building exemplary messaging and communications efforts, as well as those emerging as practice and action leaders.